Colombia has issued its second official online gambling license to Corredor Empresarial S.A., the umbrella group for the nation’s 32 provincial lottery and chance game operators. 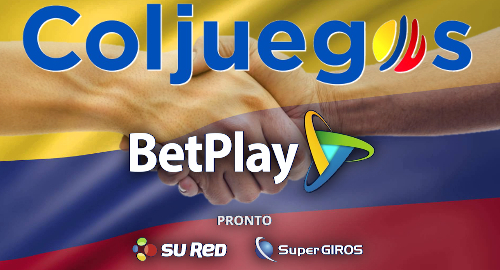 On Monday, the Coljuegos gambling regulatory agency announced it had issued the nation’s second online gambling license to Corredor Empresarial’s Betplay brand, which will operate sports betting, slot machines, roulette and other games of chance via the Betplay.com.co domain. The move was widely expected after Corredor Empresarial inked online gambling technology deals with European tech providers Kambi Sports Solutions and R Franco Digital in June. In addition to its new online site, Corredor Empresarial operates 25k retail points of sale across Colombia. Coljuegos president Juan B. Pérez Hidalgo said Corredor Empresarial’s five-year license was worth COP 3.3b (US $1.13m) to the regulator, and the monies the regulator earns via Colombia’s regulated online gambling market will contribute to health care funding. 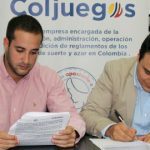 Colombia became the first Latin American jurisdiction to formally approve online gambling last October, and Coljuegos issued its first online license to local operator Aquila Global Group’s Wplay.co brand in June. 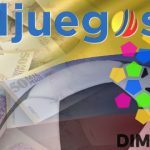 Hidalgo said Coljuegos expects to announce new online license recipients – including Sportium, the joint venture of UK bookies Ladbrokes and Spanish operator Cirsa – over the next few days. To ensure locally licensed operators get off on the right foot, Coljuegos published a blacklist of some 325 internationally licensed online operators who were no longer welcome in Colombia’s cyberspace. Local internet service providers began blocking these operators’ domains in July. But, as other ban-happy jurisdictions have discovered to their chagrin, blocking domains is like taking Viagra, in that its effects soon wear off and limp ineffectuality returns. 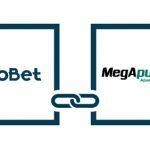 As a result, Coljuegos announced last month that it was talking to local financial institutions about disrupting the flow of money between local punters and unauthorized gambling sites.